Lester A. ‘Booger” Witthuhn - age 92, of Hays, Kansas died Wednesday, September 5, 2018, at Hays Medical Center. He was born February 24, 1926, in Bazine, Kansas, to Richard William and Amanda (Michel) Witthuhn. He married Betty (Houser) at Bazine in 1945. She preceded him in death on March 8, 1979. He married Elaine Elizabeth (Wnek)-Wilson at Oklahoma City, Oklahoma, on February 20, 1981. He was owner of Booger’s Bits since 1983 and was still working with his customers until his death. He was a salesman for Smith Tool Company of Oklahoma City, for over 40 years until he retired in 1983 and moved to Hays. He and his wife were co-owners with his brother and sister-in-law of Hen House Ceramics in Hays. He was a salesman for the Mountain Man Fruit and Nut Company for about 10 years. Lester grew up in Bazine and was a 1942 graduate of Bazine High School. He was a veteran of the US Navy. He lived in Oklahoma City and McCook, Nebraska. He was a member of St. Joseph Catholic Church and V.F.W. Post No. 9076 both of Hays. He enjoyed bingo, the Kansas City Royals, football and golfing. Survivors include his wife, Elaine E. Witthuhn, of the home; three sons, Lester “Butch” Witthuhn and wife, Mary, Hutchinson, KS; Tim Wilson and wife, Wendi, Ft. Myers, FL; David Wilson, Acworth, GA; four daughters, LuAnn Gore and husband, Steve, Palmyra, PA; Louise Roy and husband, Randy, Abilene, TX; Debbie Boehler and husband, Steve, Oklahoma City, OK; Jackie Fitz (Brian), Gibsonton, FL; three sisters-in-law, Doris Witthuhn, Hays, KS; Pat Cmunt, Stickney, IL; Carolyn Houser, Newcastle, OK; 18 grandchildren, Jeff Haas, Chris Haas (Ursula), Blue Haas, Steve Gore Jr. (Kelly), Staci Albert (Jordan), Andrew Roy (Julissa), Adrian Roy, Dessiree Mundell (Chris), Daniel Witthuhn (Rebecca), Brayden Witthuhn, Matt Boehler (Jessica), Alexandra Wilson, Zachary Wilson (Shannon), Chris Wilson (Julie), Tim Wilson, Julia Bohlander (Austin), Casey Fitz, Hayley Goodwin; 21 great grandchildren with one on the way; and many nephews and nieces. He was preceded in death by his parents; his first wife; daughter, Patsy and brother, Bill. Services are at 10:00 A.M. Monday, September 10, 2018, at St. Joseph Catholic Church, 12th and Fort, Hays, Kansas. Burial will be at the Bazine Cemetery, Bazine, Kansas. A scripture service and rosary will be at 7:00 P.M. Sunday, at Cline’s-Keithley Mortuary of Hays, 1919 East 22nd Street, Hays, Kansas 67601. 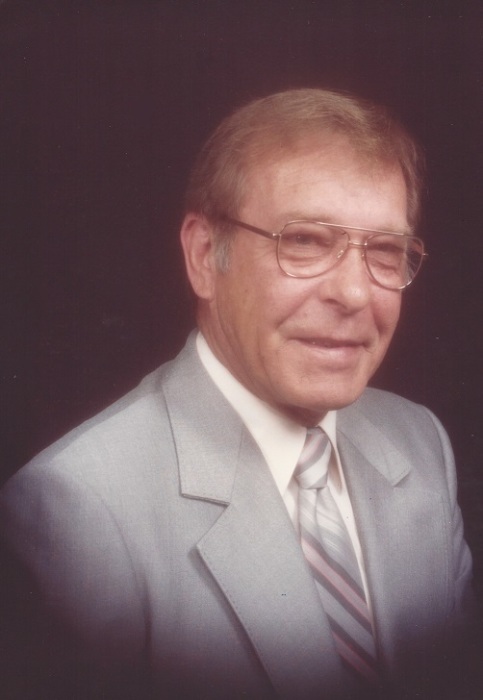 Visitation is from 5:00 to 8:00 P.M. Sunday and from 9:00 to 9:45 A.M. Monday, all at Cline’s-Keithley Mortuary of Hays. The family suggest memorial to the family and masses.